Here at LoveKnitting, we love our Independent Designers: let us introduce you to some new friends. 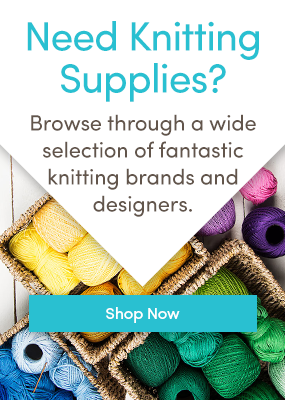 Independent Designers can sign up to sell their patterns on LoveKnitting and LoveCrochet. We now have thousands of talented, innovative designers on site to inspire and delight crafters worldwide. The beginning of March indicates the beginning of a new season, and with this new beginning we want to shed some light on some new Independent Designers that have listed their patterns on site. This Nordic-inspired designer focuses on classic, timeless designs. With colorwork patterns that range from simple to complex on garments that feature an accessible construction, her patterns will never go out of style. Her All Season Slippers are to die for, and they would make an appreciated gift for anyone in your life. If you love tiny knitted animals, then Susan Claudino is the new independent designer for you. From zoo animals to aquatic friends, these stuffed toys are accessible designs with a fun twist. She also has fingerless glove designs that keep hands warm and fingers free to play Candy Crush in your iPhone – we love her Zombie ViXen gloves! Fun, fashionable patterns for the whole family, with hoodies for little ones and chic knitted tops for grown ups. Tanja’s patterns focus on having an attractive drape and clean, pleasing lines. Her Elmi Hoodie is too cute for words, and would look great with any color combination. If you have knitting or crochet patterns that you want to sell, click here to set up an account. Say hello to our new Independent Designers! Love inspiration and knitting patterns? Follow us on Bloglovin’ and never miss a post. Last updated: March 3rd, 2016. Great new designers. I am following two of them already. Great to see find them here to. The patterns of the fouw are looking great.